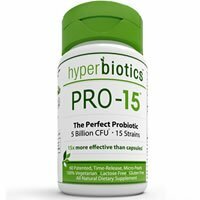 Overall, Hyperbiotics Pro-15 is definitely an above average probiotic. Right away, I like how pure and allergy friendly this probiotic is. It’s free of major allergy concerns such as lactose, yeast, wheat, gluten, and nuts and is also made without artificial preservatives, colors, or chemicals. I also like that this probiotic doubles as a daily probiotic and one for specific ailments. This makes it very flexible and can be adjusted to fit your individual needs. The unique time-release, micro-pearl tablets are all natural and supposedly survive up to 15x better than other capsules. Hyperbiotics Pro-15 tablets don’t need to be refrigerated to maintain the live probiotic cells. One thing that I didn’t like is that if you’re going to take the full strength dose of 3 pearls, it can get pricey at $1.25 per day. Another thing that may be an issue for some people, this product has 15 strains. That’s probably too many as many of these probiotic strains compete with one another for space in your gut. And sometimes, they can cancel each other out. 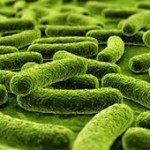 Lactobacillus casei is particularly aggressive and could negatively affect other strains. 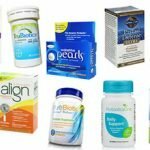 But overall, I think Hyperbiotics Pro-15 is a pretty good probiotic that can be taken every day or for specific ailments and is very pure, convenient, and easy to use since the pearls are extremely small in size. 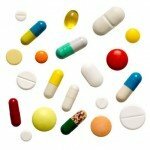 Like the name suggests, there are 15 probiotic strains with 5 billion live cells per tablet. I was extremely impressed to see 15 strains in these tiny, pearl tablets. Of note, I really like that they use the strain Lactobacillus acidophilus. This is one of my favorite strains because it really personally helps my IBS, food allergies, and weakened immune system. Lactobacillus acidophilus has been shown to help with a range of stomach ailments such as constipation, gas, bloating and stomach pain. 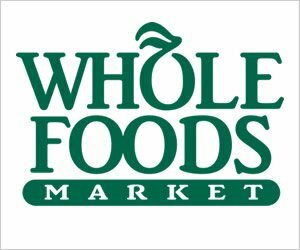 Those of us with IBS or other chronic ailments such as Crohn’s Disease, Leaky Gut Syndrome, Ulcerative Colitis or lactose intolerance may see improvement of their uncomfortable symptoms with this probiotic strain. I also really like the addition of Bifidobacterium lactis. This probiotic has been shown to help weakened immunity, lower cholesterol, and improve overall digestion. Bifidobacterium Lactis may also alleviate the symptoms of acute diarrhea, normalize bowel movements, help fight off respiratory infections and increase vitamin and mineral absorption. This probiotic really shines when it comes to allergy concerns and ingredients. It contains NO lactose, yeast, gluten, soy, iron, wheat, nuts, or sugar. In addition, there are no chemicals, preservatives, artificial colors or flavors. This probiotic is also 100% vegetarian. The only problematic issue is that it may contain trace amounts of the milk protein, casein, which is used in the fermentation process. The price of Hyperbiotics Pro-15 is $25.00 for a bottle of 60 tablets. If you’re taking this probiotic for daily maintenance, it comes out to be a surprisingly low $0.41 a day. However, if you’re taking it for a specific ailment or to combat the effects of antibiotics, it ends up being a very pricey $1.25 per day. The first night I took Hyperbiotics Pro-15 was on an empty stomach and unfortunately I did wake up with some stomach discomfort. Thankfully, by the second day I had no more adverse side effects! I began taking one pearl per day, then gradually increased to three pearls and ended up feeling great belly benefits from this probiotic. If you aren’t happy with your purchase at Hyperbiotics, they recommend contacting them and they will replace your product, suggest an alternative product, or refund your purchase. They also guarantee a shelf life of 18 months from the time of manufacture. I love to see products that offer satisfaction guarantees. To buy Hyperbiotics Pro-15, click here.